Every morning you can breathe in the fresh air and enjoy the stunning views of the Stirlingshire countryside. Want to bring your family? No problem - the children can play safely outdoors whilst you relax and settle down for the evening with a nice glass of wine enjoying the magnificent sunsets towards Ben Lomond and Ben Ledi. 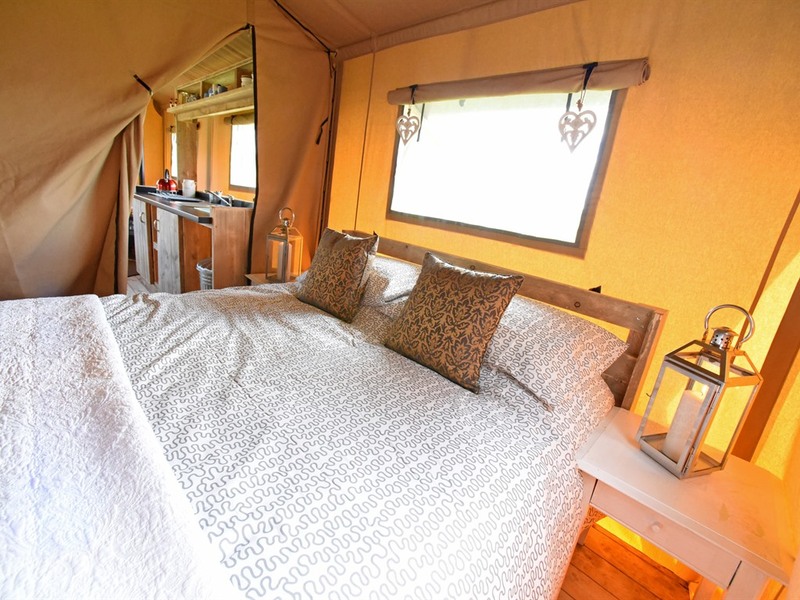 We have two Safari Tents, affectionately known as Hazel and Jennifer, they are truly a home from home but without the distractions of your usual daily lives. Being ‘off grid’ means our tents have no mains power supply so they are lit by storm lanterns, solar lights, candles and torches – creating a fantastic memorable experience for the children or truly romantic atmosphere for couples who want to unwind. 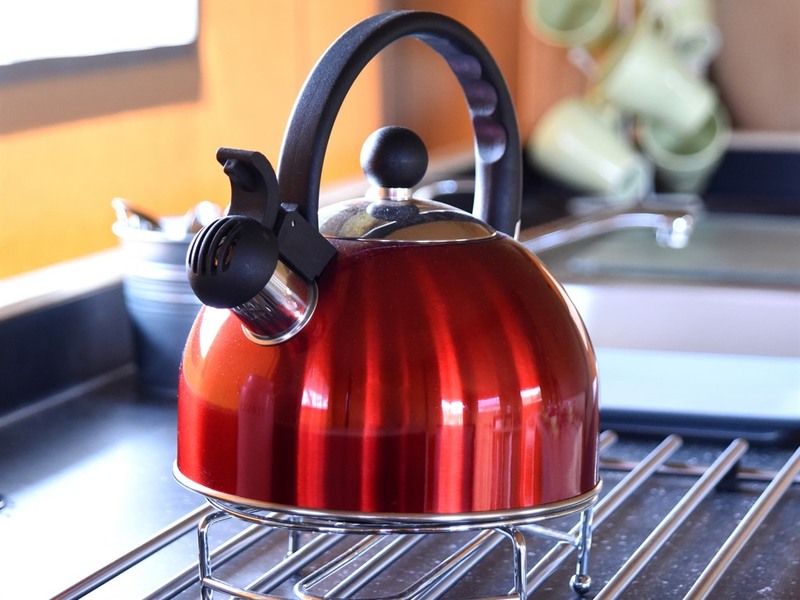 Although the tents are off grid, we do have power points in our reception building a short distance away to charge mobile telephones and plug in the all important hair dryers and straighteners. Our aim is to provide an ‘away from technology’ experience for families, allowing the art of conversation to be reinvigorated! 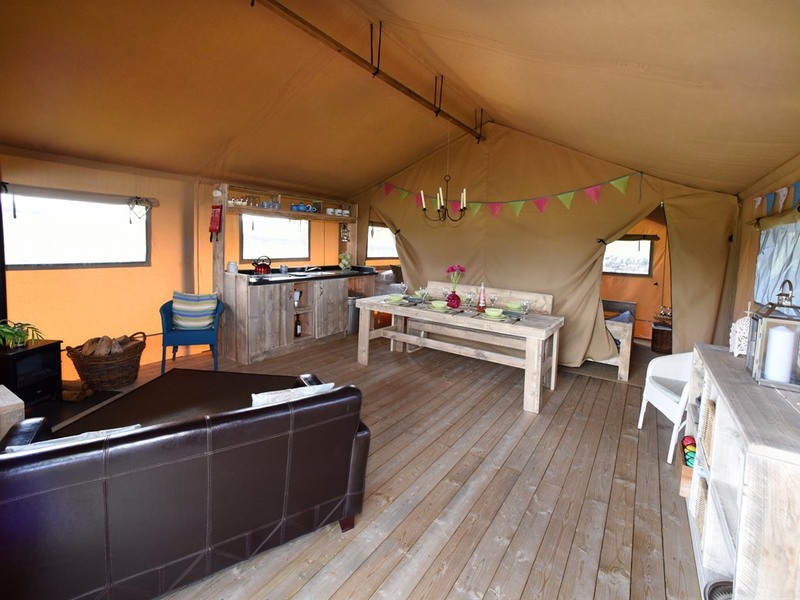 Both tents have board games provided and we encourage relaxation, reading and enjoying the great outdoors for both children and adults alike. Your escape to our Luxury Safari Tents will ensure a return to good old fashioned family values where the focus is on nature, the countryside and (most importantly) the real enjoyment of just being together. 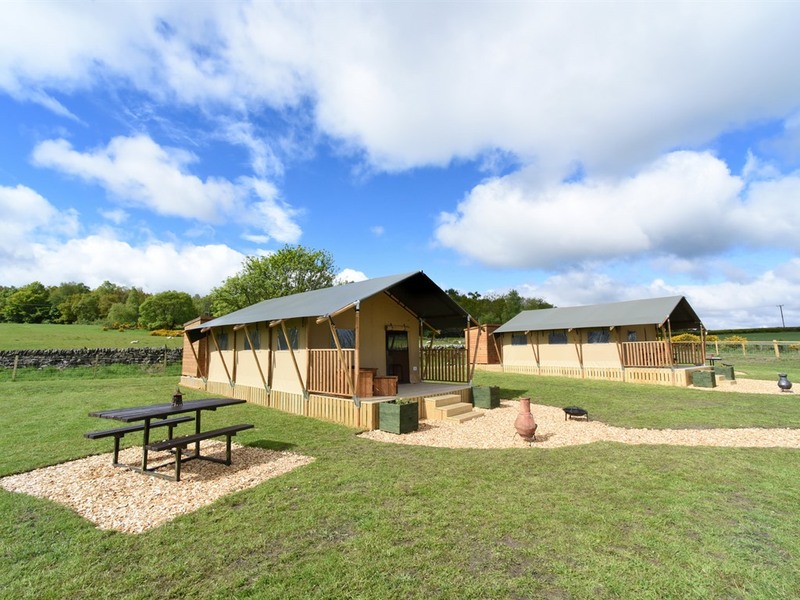 So whether you’re a family looking for a camping experience with a difference or a couple looking for a peaceful getaway our Safari Tents are waiting for you. Lovely setting, so close to big places but really feels rural and private. We stayed for 3 nights and though it was cold, we stayed warm in the cosy duvets and in afront of the fire. We loved being off grid, gave our kids time to detox from screens and we spent evenings playing boardgames and reconnecting as a family. Really loved our time here!